It is so rare that we get to post a recipe from Australia, so I am eager to add this to our files. Lamb shanks are actually fairly affordable where we live, so I may be able to give this one a try before too long. This recipe comes from Donna Hay's book, The New Classics. 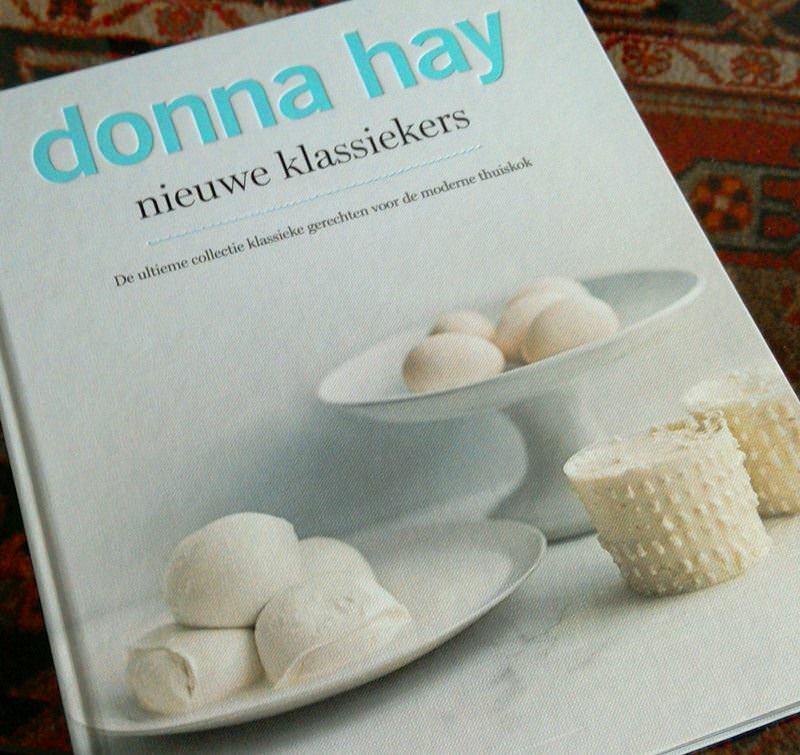 I have recommended her books to many people since my daughter discovered Donna Hay many years ago! Her cook books are simply fantastic, she won several prices for her food styling and photography. I own several of her books.... 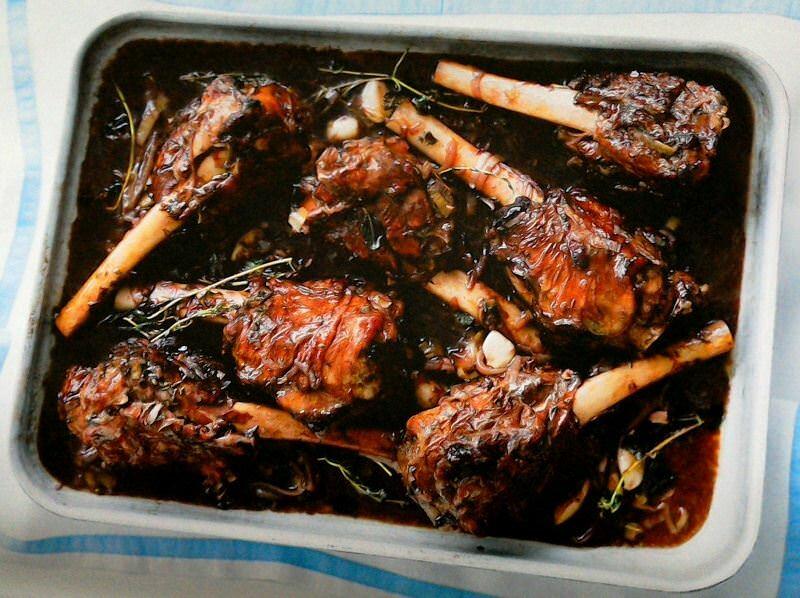 This recipe comes from the lamb section...in my opinion, one could easily...use dark beer instead of wine! Preheat oven to 180 degrees Celsius (350 degrees Fahrenheit). Heat oil in big non-stick pan. Sear shanks on all sides. Move shanks to oven dish. Using the searing pan, add leeks, onion, garlic, thyme and oregano. fry these for a few minutes, then add flour while stirring and cook for a while more. Donna Hay suggests serving with potato puree or polenta; another great suggestion would be boiled potatoes, which could be smashed into the sauce. I'm eager to try this and am very tempted to use a nice, dark Belgian beer in place of the wine.